The SNL Meeting is less than one week away! 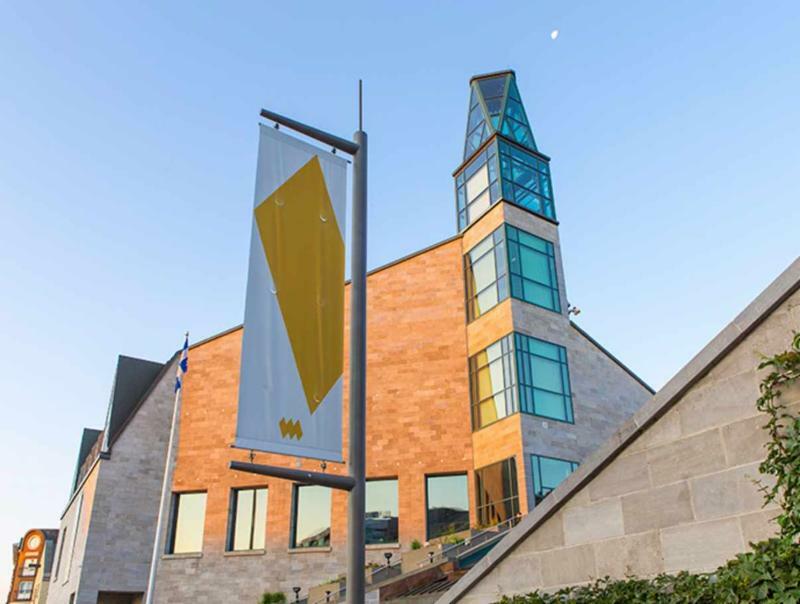 This year, we are excited to be offering a rich scientific program, as well as an elegant Welcome Reception at the Musée national des beaux-arts du Québec . 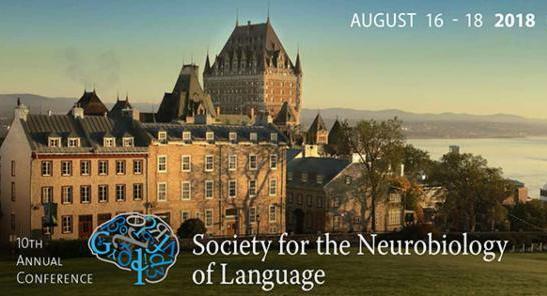 The meeting will commence on Thursday, August 16th with Opening Remarks by SNL President Karen Emmorey, followed by the first Keynote Lecture delivered by Robert Zatorre. Throughout the meeting, additional topical Keynote Lectures will be given by Dorothee Saur, Morten H. Christiansen, and Julie Fiez. On Thursday afternoon, Steven Small will receive the first Distinguished Career Award and deliver a talk. 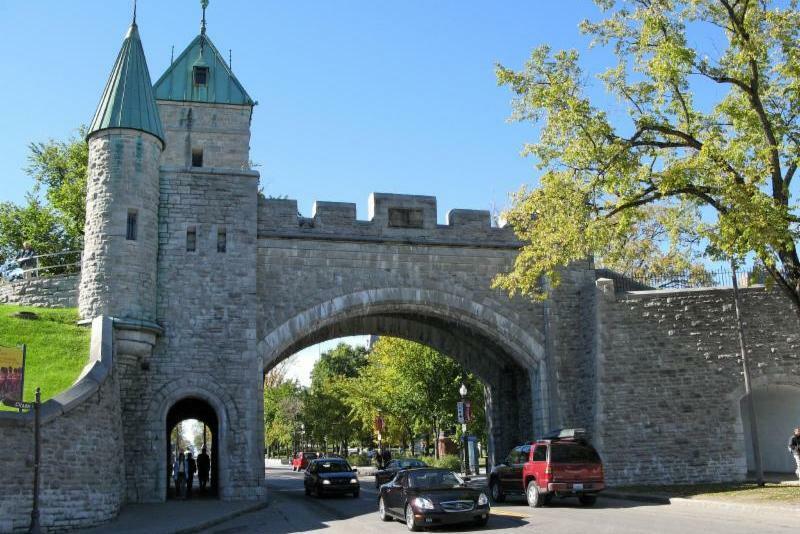 Later in the evening, attendees are invited to stroll to the Musée national des beaux-arts du Québec to enjoy the Welcome Reception. On Friday, Pascale Tremblay and Bharath Chandrasekaran, recipients of the Early Career Awards, will deliver talks on their research. 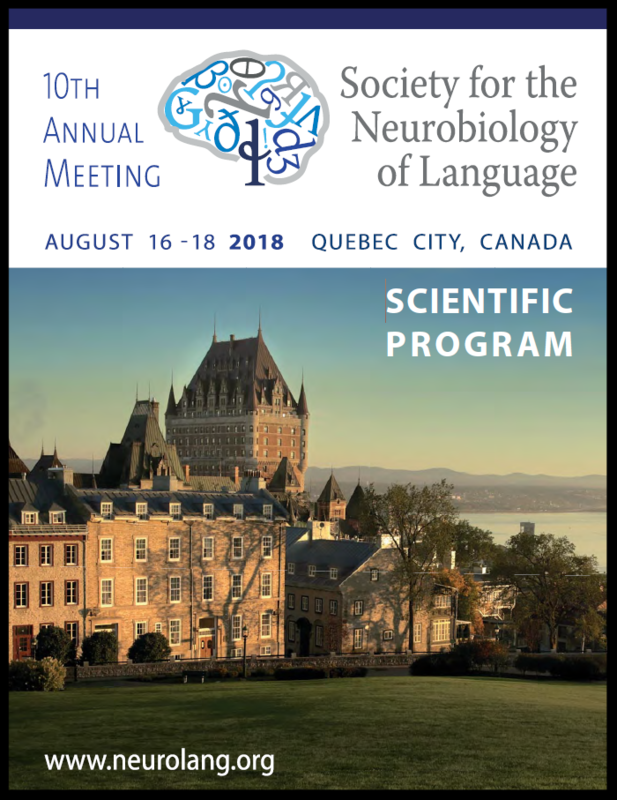 Saturday will feature a Panel Discussion moderated by Sophie Scott, which will address the Neurobiology of Language: Past, Present and Future. In addition to the traditional Slide and Poster Sessions, we have brought back the popular Poster Slams. And, don't forget to catch up with colleagues at the Social Hour during the Friday evening Poster Session! 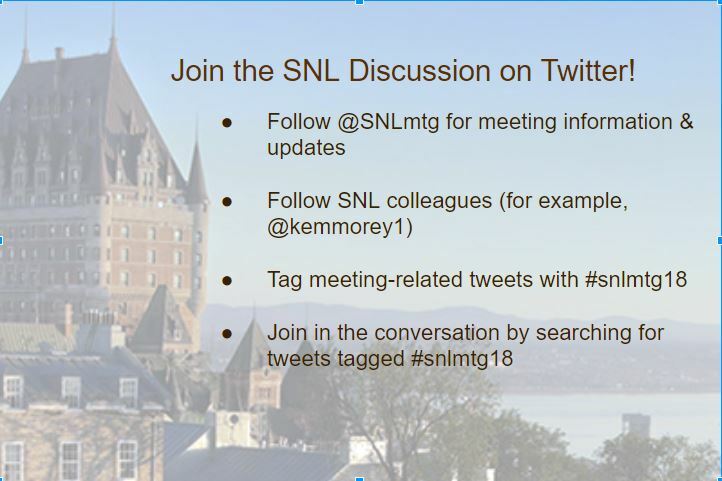 To view the entire SNL 2018 program, visit our Scientific Program and Schedule of Events web pages. 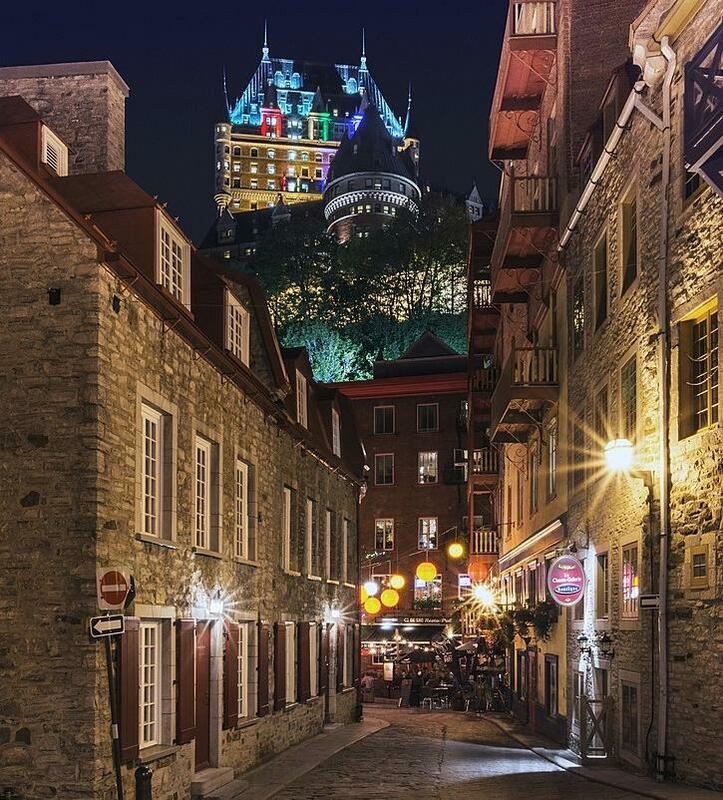 We look forward to seeing you in Québec City! Program & Abstracts Books Now Available for Download! SNL 2018 Abstracts Book and Scientific Program Now Available for Download! Click an image below to download the SNL 2018 Program or Abstacts Book in PDF format. Free Childcare Available at SNL 2018! Thanks to generous funding from the National Institutes of Health, SNL is pleased to offer FREE onsite childcare for children 0-12 years of age as part of the 2018 meeting! This year, we have contracted with "Garderie Mobile," a highly-recommended event childcare service. Activities will include age appropriate arts and crafts, educational activities, interactive games, and much more! Spaces are limited and will be filled on a first-come, first-served basis. Although registration is now closed, drop-ins may be accommodated if room allows, but space cannot be guaranteed. The RTG will be incorporated into the Cognitive Science PhD program founded in 2002. PhD students of the RTG will take advantage of an interdisciplinary environment, which nevertheless focuses on a common research topic and offers a broad range of methodological synergies between the projects. The Department of Psychology at the University of British Columbia-Vancouver campus (psych.ubc.ca) invites applications for a tenure-track position at the assistant professor level in developmental psychology, which will begin July 1, 2019. We are seeking applicants with strong research records appropriate to a research-oriented doctoral program. We are looking for outstanding candidates in any area of developmental psychology, but we are particularly interested in candidates whose work focuses on language development, including perceptual and conceptual development. Applicants should have research interests that complement existing strengths in the department (psych.ubc.ca/faculty/index.psy). We encourage applications from candidates who use diverse methodologies (e.g., behavioural, computational, neuroimaging) and who can contribute to UBC's Language Sciences Initiative (languagesciences.ubc.ca). The successful candidate will be expected to maintain a program of scholarly research that leads to publication; conduct effective undergraduate and graduate teaching and research supervision; and contribute to departmental service. Applications are to be submitted online through the UBC Faculty Careers website at: www.facultycareers.ubc.ca/30619. Applicants should upload by the deadline the following documents in the order listed: cover letter, CV, research statement, teaching statement, evidence of teaching effectiveness, and 3 publications. In their research statement, we encourage applicants to discuss their past and/or planned research approach in the context of ongoing discussion in the sciences about research practices, replicability, and open science. In addition, applicants should arrange to have at least three confidential letters of recommendation submitted via email to ubcpsycjobs@psych.ubc.ca. The Basque Center on Cognition Brain and Language - BCBL- (San Sebastián, Basque Country, Spain) is offering a postdoctoral position focused on SIGNAL PROCESSING ENGINEER, as part of an ERC funded research project OsciLang (PI: Manuel Carreiras). The goal of OsciLang is to provide an affordable, lightweight, wearable brain-computer-interface neurofeedback system that can facilitate the detection and treatment of language disorders such as dyslexia and specific language impairment (SLI). This tool will (a) diagnose/measure and (b) improve/rehabilitate an individual's ability to synchronize their brain's activity with changes in a speech signal. The Basque Center on Cognition Brain and Language - BCBL- (San Sebastián, Basque Country, Spain) is offering a postdoctoral position focused on neurocomputational basis of language learning and statistical learning, as part of ERC-funded research project (PI: Ram Frost). The brainLENS-east lab (Laboratory for Learning Engineering and Neural Systems http://brainlens.org, PI: Fumiko Hoeft MD PhD) at University of Connecticut's Brain Imaging Research Center (UCONN's BIRC) is seeking a full-time neuroimaging postdoctoral fellow. We are seeking a postdoctoral scholar to be involved in a federally-funded large-scale multimodal neuroimaging project (NIH R01HD096261 9/1/'18-8/31/'23). The project's goal is to examine individual differences in MRI-based neural networks involved in reading, language and cognition by probing dynamic changes in the networks using theta-burst TMS and GABA/Glu-based neurochemistry in key nodes of the networks. The translational goal is to examine compensatory mechanisms of dyslexia. In addition, the successful candidate will have the opportunity to publish papers using a wealth of archival developmental and longitudinal neuroimaging data on language and literacy, develop their own research projects, and write grants. He/she will also have the opportunity to be involved in other federally and non-federally funded-research projects in the lab and collaborating labs as well as outreach, and learn how to manage large-scale projects. Interested candidates should email info@nidl-lab.orgwith "[Neural Dynamics Postdoc Job (YOUR FULL NAME)]" in the subject line. In the email they should include (a) a current CV, (b) a one-page cover letter describing qualifications, interest, career goals, and (c) a list of 3 potential referees with their contact information. The position can begin immediately. Postdoctoral scholars from the lab have gone onto a range of research faculty and imaging director positions at institutions such as Stanford, Caltech, Boston College, and University of Texas. in August 2018 while continuing to run projects at UCSF (brainLENS-west lab). UCONN has outstanding resources for cognitive and systems neuroscience research, including a new state-of-the-art neuroimaging center BIRC. The laboratories have extensive local, national and international collaborations with other research groups such as UCSF, Haskins Labs, Yale, BCBL, U of Michigan, Stanford, U of British Columbia, Chinese University of Hong Kong, Georgia State University. UCONN is centrally located in the New England area with easy access to nearby cultural centers such as New York, Boston, Providence and New Haven. NIDL and brainLENS-east labs (Neurobiology of Individual Differences in Language Lab http://nidl-lab.org, PI: Roeland Hancock PhD; and Laboratory for Learning Engineering and Neural Systems http://brainlens.org, PI: Fumiko Hoeft MD PhD) at University of Connecticut's Brain Imaging Research Center are seeking a postdoctoral scholar. The postdoc will manage and execute a large-scale NIH funded project using a family-based design to investigate genetic and environmental contributions to brain-behavior correlations in the domains of language, reading, and math using multimodal neuroimaging data and detailed behavioral assessments. In addition, the successful candidate will have the opportunity to be involved in other federally and non-federally funded-research projects in the laboratories, gain experience in grant and manuscript writing and large-scale project management, outreach and community engagement projects, and access to a wealth of archival developmental and longitudinal neuroimaging data on language and literacy. Interested candidates should email info@nidl-lab.orgwith "[Trio Postdoc Job (YOUR FULL NAME)]" in the subject line. In the email they should include (a) a current CV, (b) a one-page cover letter describing qualifications, interest, career goals, and (c) a list of 3 potential referees with their contact information. Review of applications will begin immediately and continue until the position is filled. The preferred start date is January 1, 2019. In a project supported by the Deutsche Forschungsgemeinschaft regarding the functional interaction between action sounds and semantics the neuro-mechanistic basics of semantic processes shall be examined with neuro- and psycholinguistic methods. Research on the biological basis of language and communication with neuro- and psycholinguistic methods using neuroimaging procedures (EEG, fMRI, MEG) and behavioral experiments. Familiarity with linguistic semantics and pragmatics and the interrelation of language and cognition. By submitting an online application, you as an applicant agree that your data will be electronically processed and stored. Please note that in the case of unprotected electronic transmission of your application the Freie Universität Berlin can give no guarantee for the security of transmitted personal data. Post-doctoral Research Fellow position available for 2-3 years for an energetic and enthusiastic neuroscientist or computational linguist at the Penn FTD Center. Our study focuses on markers of neurodegeneration in speech and language, focusing on lexical and acoustic feature of longitudinal speech samples. We have a large patient cohort with various neurodegenerative conditions, including primary progressive aphasia, frontotemporal dementia, amyotrophic lateral sclerosis, progressive supranuclear palsy/corticobasal syndrome, and Parkinson spectrum disorders. We have a deep cross-sectional and longitudinal dataset with ongoing data collection that includes digital recordings of picture description tasks, extensive neuropsychological evaluations, neuroimaging (both structural and functional), blood and CSF biomarkers, genetic profiling and pathology. We aim to identify novel speech biomarkers that will enable screening, continuous patient monitoring as well as in-depth studies into the neurobiological basis of language and speech impairment. The position provides a great opportunity to conduct clinical research in a leading center, collaborating with a versatile team of investigators, including neurologists, neuroscientists, imaging specialists, psychologists, linguists and computational experts. A rare opportunity for clinical exposure in translational and computational neurolinguistics research. Background in computer programming languages is strongly encouraged. The NYU Neuroscience of Language Lab (NeLLab), New York University Abu Dhabi, and the NYU Abu Dhabi Research Institute are pleased to sponsor to an international meeting on the latest advances in the neuroscience of language (including behavioral experiments relevant to neural mechanisms), especially aimed at insights stemming from interdisciplinary research, such as work bridging linguistics and neuroscience, and from the study of languages that are currently underrepresented neurobiological research on language. Abstracts are solicited for 30 minute talks and posters. Abstracts for talks and/or posters should be no more than one (A4) page plus one additional page for figures, tables, and references and should be submitted electronically to neurolang-ad@nyu.edu. Please use 2.54 cm/1 inch margins and a Times font face. Limited financial support may be available for selected student presenters. If you have any enquiries, please contact us at nac2019@utu.fi. Workshop "Psycholinguistic and Computational Perspectives on Non-compositional Meaning in Phrases"
It is a pleasure to invite you and your colleagues to the workshop "Psycholinguistic and Computational Perspectives on Non-compositional Meaning in Phrases." This workshop is organized by the SFB 833 and associates at the University of Tübingen and will take place in Tübingen, Germany from November to 30th, 2018. How are such phrases represented and comprehended, and to what extent do the individual constituents contribute to phrasal meaning? How is meaning constitution impacted by language development (i.e., first and second language acquisition)? How does context impact access to non-compositional meaning? Both computational and psycholinguistic approaches attempt to help us better model the bridge between form and meaning, and this workshop provides a platform for resolving interdisciplinary differences and encouraging cross-talk between junior and senior researchers. Particularly, we aim to ask how psycholinguistic modeling of non-compositional meaning can inform computational linguistic models and vice versa. Idioms, conventional metaphors, phrasal verbs, adjective-noun phrases, prepositional phrases, compound nouns, etc. Abstracts should be no longer than two (2) A4 pages, single-spaced, 12-point font, including key references and tables/figures. Submissions should be anonymous, and authors can identify themselves in the submission form. Submissions will be selected for either a 20-minute talk or a poster presentation. Notifications will be sent out by mid-July. If accepted, there is no registration fee for this workshop. Coffee breaks, a conference dinner, and a poster lunch will also be provided. There will also be an award for the best student talk and/or poster. Abstract deadline for poster presentations is May 31st 2018. Please send your abstract to inga.maren.schepers@uni-oldenburg.de. The workshop fee is 100 Euro and includes all meals (see preliminary program). Travel and hotel costs are not covered by the fee. Acceptance notifications will be sent out in June (~ 20 posters in total). Shortly after the notifications, travel information will be send out and information on special hotel room rates. I look forward to an exciting workshop! David Corina - University of California, Davis, USA. Karen Emmorey - University of California, San Diego, USA. Anu Sharma - University of Colorado Boulder, USA. Bencie Woll - University College London, United Kingdom. Christine Yoshinago-Itano - University of Colorado Boulder, USA. For further information please visit http://www.bcbl.eu/events/world2018. 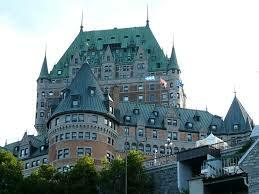 The 56th Annual Meeting of the Academy of Aphasia will be held at the Hotel Place D'Armes in Montreal, Canada. The Academy of Aphasia welcomes submissions of original experimental, clinical, theoretical, and historical research from any field that contributes to the study of aphasia, including Speech-Language Pathology, Psychology, Neurology, Neuroscience, Linguistics, History, and Computational Modeling. We are pleased to announce that complete conference information is available on our website, and conference registration is now open! We are also happy to announce exciting news regarding our expanded, NIDCD-supported mentoring program, which you can read about here. Deadlines: Early Registration for the conference: Sept. 15th. Hotel rooms at the conference hotel, Sept. 15th. Applying for travel funds and activities for the mentoring program: September 1st. The meeting is open to anyone interested in attending. However, meeting space is limited, and Academy of Aphasia members, authors of accepted papers, and the first authors of rejected papers will have preference, if space limitations restrict the number of registrants. A short version of the program (without abstracts) will be distributed at the conference with other registration materials. Accepted abstracts will be published online in Frontier-Psychology in Language Science. Abstracts will be available in early fall for download from Frontiers.